Have you always dreamed of being in command? July 1th, 2009 Have you always dreamed of being in command? 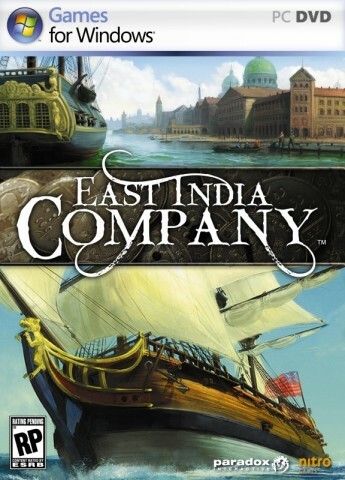 Now YOU have the chance to become a Commander in "East India Company"! Enter our RULE THE WAVES competition and you could be well on your way! Paradox Interactive and Nitro Games are thrilled to unveil a tidal wave of a competition for "East India Company" which is sure to excite gamers across all four corners of the globe. The ”RULE THE WAVES” competition will take the real-life likeness of three lucky winners and transfer them digitally into actual in-game characters which will then feature in the final game. To be in with a chance of being turned into a great sea-faring commander in "East India Company", simply follow the instructions posted on http://forum.paradoxplaza.com/forum/showthread.php?t=411095. The winning ”Commanders” will be added to the game through an upcoming patch. "East India Company" is shipping to stores on July 28th in the US and 31st of July in the UK and Scandinavia. "East India Company" is a naval war strategy game based on the 18th century East India Companies. Players will attempt to build the world’s most powerful trading empire in a breathtaking cinematic environment. Offering both single and multiplayer modes, players will fight, manage and rule nations from Europe to the Far East using a wide array of ship classes. The game will feature fierce naval battles and direct command of individual ships.